75 Minutes a Week of INTENSE BODY TRANSFORMATINON! Maybe you have a wedding coming up or a class reunion. Getting ready for summer? Or maybe you're just sick and tired of being "out of shape" and you don't know where to turn. Whether you're looking to build and tone or pure fat burning is your goal, this system is the fast track to the body you deserve. Over 35 different workouts designed to supercharge your results. On the 7th day we rest... and check in. Each week you will start with a different body than the week before. 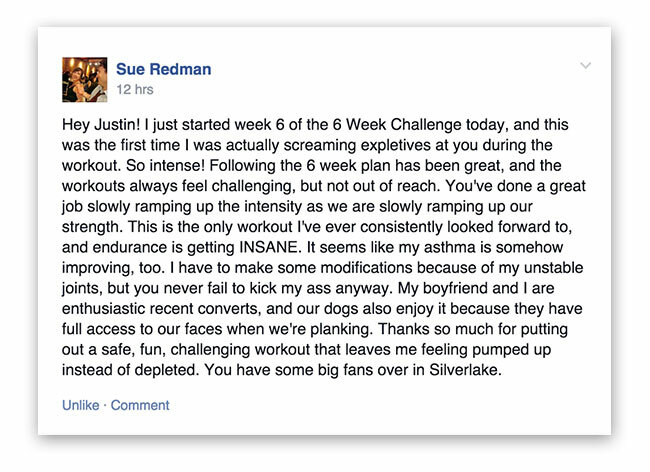 That's why each week is a fresh new set of workouts to challenge your new level of fitness. 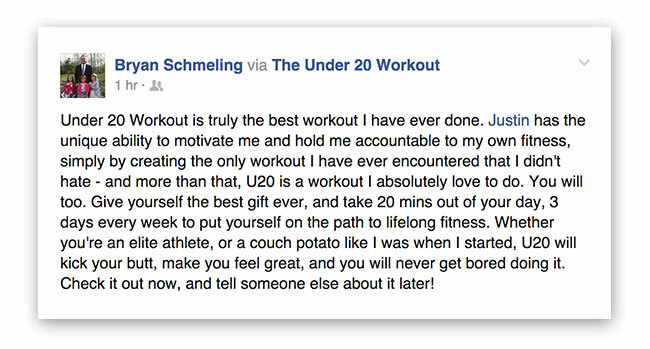 I know it's scary to start... Every single Under 20 Workout success story started out with a little fear. Amanda was afraid... She lost 46 pounds in 6 months. Frank laughed at me... He lost 50 pounds in 5 1/2 months. Plus there's a full refund if you aren't satisfied. Start today and I promise you're going to love me... And probably hate me a liitle too. 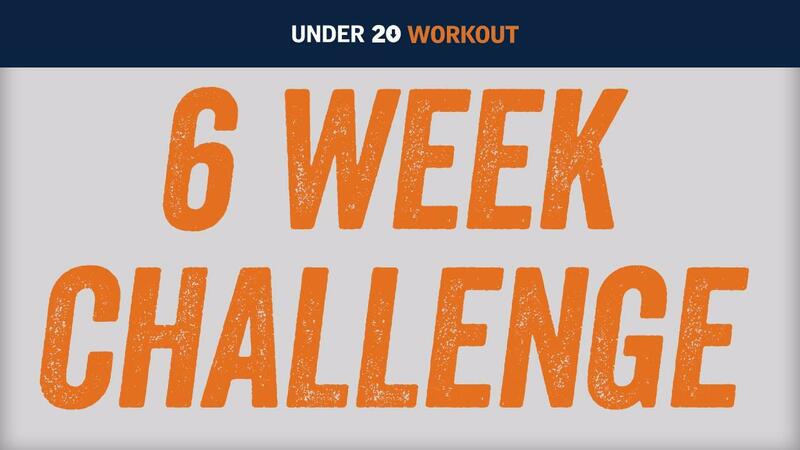 Are you fit enough to start The 6 Week Fat Blaster Challenge? The entire U20 system is designed for every fitness level. I know that sounds crazy but I've trained novice beginners and professional athletes in the same class. I've put adjustments into every workout for beginners. BUT after a couple of weeks, you won't need them. I've had members go from "I've never done a push-up in my life" to "I did 13 push-ups today" in a matter of a couple weeks. That's what makes me love my job. Just you, me and a towel. Super-charge your fat loss with our 6-week Home Bootcamp. Get your dream body with just 75 minutes of workouts per week.